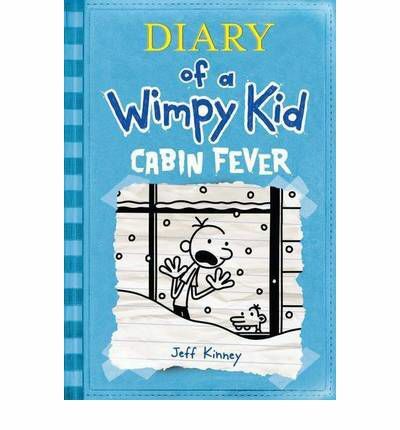 Book seven of the Diary of a Wimpy Kid series. Somehow a wrestling/motocross school fundraiser morphs into a Valentine’s Day Dance and all the kids in middle school are now scrambling to find a date. Greg Heffley is having no luck, everything he tries fails miserably. Sure he isn’t the only one without a date but when the other person without a date is Rowley that’s not much consolation. Then something happens and Greg gets a partner for the dance even though Rowley is also tagging along. A lot of things can happen in one night though and love doesn’t always go the way you plan it. 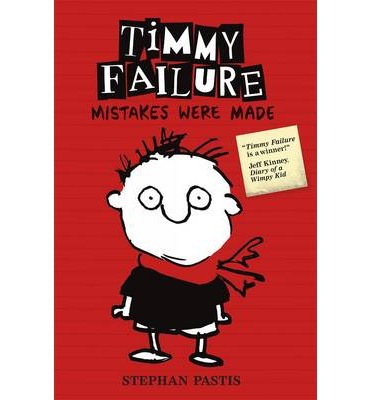 This is probably my favourite of the Wimpy Kid series. Greg feels like a more rounded character this time around even though he is still wimpy, clumsy and somewhat unlucky. There are still plenty of cringe worthy moments, especially involving his mother and I’m sure a lot of kids reach an age where they feel that way about their parents. This is an easy book to read, continuing the format that has made it so popular with readers – avid and reluctant alike. Mostly though it is entertaining fun. A great addition to the series, injecting something back in that felt lacking from Cabin Fever. Greg Heffley is feeling the pressure to be good between Thanksgiving and Christmas. He doesn’t want to do anything to jeopardize his gifts. Added to this things at school have been tense with an anti-bullying program and the removal of playground equipment. Added to all this is a burgeoning addiction to on-line computer game Net Kritterz. Then there is the fact that school property has been damaged and Greg is the prime suspect. Which is kind of unfair a she really is innocent or at least sort of. Just when he thinks the authorities are closing in a surprise blizzard hits and the Heffley family find themselves trapped in doors. It is not long before Greg starts to think being stuck inside with his family is a worse punishment than anything the authorities can do to him. Greg is back with yet more problems interrupting his normal kind of life. Greg’s troubles are the sort that any school kid can identify with. The form for this book is one readers will be familiar with. Nothing has changed in style or structure, Greg’s problems haven’t become the problems of an older boy. Rowley is still innocent Rowley, Roderick is still an annoying older brother and Manny ably fills the role of annoying younger brother. Cabin Fever is a fun addition to this popular series. It is the perfect series for reluctant readers of around nine. It’s presentation for those not familiar with the series makes for an easy read, and with the text broken often by illustrations it doesn’t look as daunting a read as it might otherwise. If you haven’t read this series before make sure you start from book one. Purchase: here or use Booktopia logo on side of the page. I seem to be on a bit of a new category roll so I thought I would finally get around to adding this one. I think it is an interesting category because it seems to me that there are so many films for kids (and adults) being made from books these days. 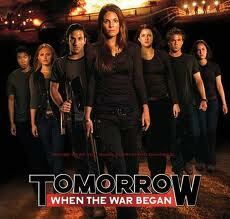 In the last 18 or so months there has been the end to the Twilight Saga (still not all released yet though), Percy Jackson, Wimpy Kid (1 & 2) and Tomorrow When the War Began. In the works are The Hunger Games. There are still more that I have heard rumours of which may or may not lead to anything, sadly that’s how it works in the film world. So I thought I might put together some thoughts on the films made from book source material. Some will be new and some will be old, all are likely to say the book was better. I know that’s pre-judging but I haven’t yet seen a film that was better than a book, though some have been good and some I have been able to view and like separately from my book opinions. How do my thoughts stack up with yours?